The KIA Optima is one of the most highly decorated and instantly recognizable models in the KIA line of vehicles. From the 2018 IIHS Top Safety pick when equipped with optional front crash prevention and LED headlights to the 2018 NHTSA OVERALL 5-STAR CRASH SAFETY RATING – it is one of the safest sedans on the road today with the looks and technology to please the most demanding driver. 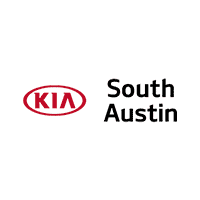 Come test drive one today and discover the KIA difference and start driving with confidence!